The manufacturing sector offers job opportunities for people with a wide range of backgrounds such as manufacturing engineers, machine designers, production engineers, and more. If you are looking for career opportunities in this field, it helps to understand the specific skill sets that recruiters look for in a candidate. The experts from our employment agency have put together a list of skills required in the manufacturing industry to help you land a job in the industry. Although not every manufacturing recruiter will need you to pay attention to the minutest aspects, it helps to be aware of everything happening around you. Whether you’re working on the line, designing new equipment, or fixing a machine, observation skills always come handy. It helps to make mental notes, review the things and take note of even the smallest details. The ability to analyze things logically and solving any issues systematically by going to the root of the problem helps to face it confidently, making the job easier. It also helps improve efficiency and raise productivity. STEM skills refer to the knowledge in the sphere of science, technology, engineering, and mathematics. Recruiters and employment agencies specifically look for these skills in a candidate searching for a job in manufacturing. 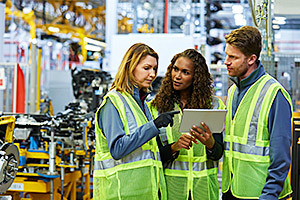 Since modern manufacturing requires advanced skills, it is important to know the right principles, procedures, and techniques. Employers look for those who have an aptitude in technology and knowledge of how to apply it in the workplace. Whether you’re operating a computer-controlled machine or using programs such as CAD, you’ll surely need some tech skills. Make sure to be updated on the latest industry standards regarding the technologies used. Human resources are essential for any business. As a result, teamwork skills are crucial for recruiters. Although it might seem as if people in this industry just oversee mechanized labour, an efficient team is required to keep everything running smoothly. Therefore, you must have the ability to work well with a group of people. 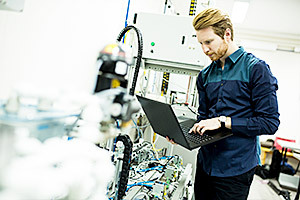 Since many manufacturing positions require knowledge of a variety of procedures and processes, manufacturing recruiters look for candidates who are flexible about their job tasks and have the enthusiasm to learn more. In addition to communication skills, recruiters may also require the candidates to know foreign languages such as French, Spanish, German, and more to work in different countries. As such, it may be beneficial to hone your language skills when looking for a job in this sector. The biggest challenge when looking for a job is fierce competition in the field and finding the right employment that meets your requirements. Consequently, those who are conducting their searches may become discouraged and frustrated by the lack of success. Using the professional services of reputed employment agencies in Toronto such as Winters Technical Staffing can help lessen the burden. With more than 45 years of experience in the industry, we have the knowledge, expertise, and resources to help you find the right job according to your requirements. For more information about our services, get in touch with our staffing consultants by calling 647-556-2408. You could also fill out our online form to request a no-obligation consultation.